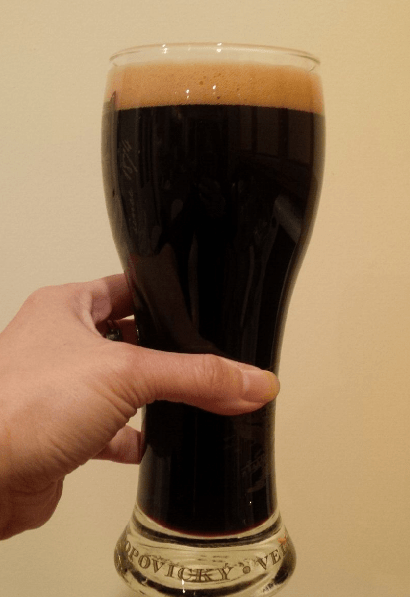 This entry was posted in Blog Update, Budget, Home Brewing, Well-being by weenie. Bookmark the permalink. 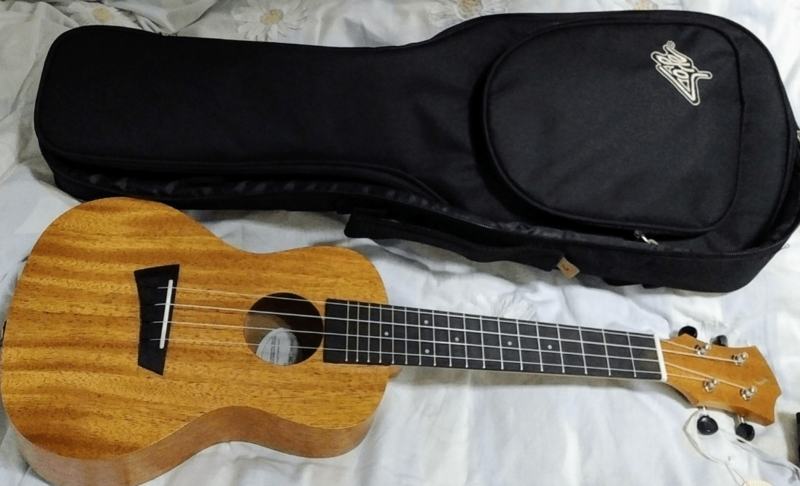 Great to see the challenge to take up the musical instrument – its amazing just how fast time goes when you are having fun with them – and the ukulele is always a great one (I don’t play it!). The fingers will toughen up over time, just keep short, regular practice runs and you will be grand! Due to painful fingers, I’ve been practising just a few minutes a day. Still struggle with some of the chords but getting better all the time. I’m impressed with that brew myself! 🙂 Aside from documenting the different kits I do, there’s not really a lot else to say about home brewing except to follow the instructions, ensure everything is sterilised and be patient! Yes, I need to put another brew on very soon or I’ll run out! I can imagine – its a slow but steady progress as your fingers harden up and get used to it – like so many things it just takes time to get used to! As you said to Jim, maybe things have moved on a lot since I last tried homebrew, maybe one day when I have a suitable space! Hi Weenie, my experience of Home Brewing was spoiled during my student years where I can still remember the taste of some vile concoctions we brewed which we’d have to mix with cider to get down. You can imagine the effects of that. These days, the UK craft beer explosion means I’m happy to leave it to the experts and sample their wares when I’m out and about – at home, I stick to wine if I’m going to drink at all. I’m lucky in that I don’t have to worry too much about what I spend on booze these days, I’d hate such a simple pleasure was curtailed because I would rather save for a rainy day. Life’s too short for that! Like you, I’ve been enjoying the UK craft beer explosion, there’s a lot more choice to have when I go out these days. That said, the home brewing industry is very different from your (and mine) student years and kits available use quality ingredients and produce decent drinks. My wine-drinking friends want me to try making some wine but I’m not a big wine-drinker, so not a lot of incentive there. I remember the sore fingers from trying to learn years ago! Home brew sounds good, I’ve just got into my stout so might give this one a crack when I get my brewing boots on again! Haha, you were close, TFS! Think a banjo is harder to learn so I guess I chose the right one! Yes, sore fingers – I think I might get some finger protectors to see if they’re of any help. 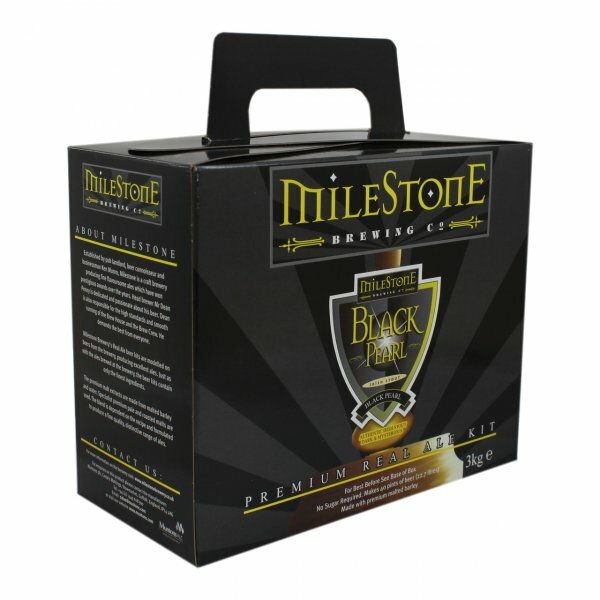 The Black Pearl Stout kit was simple to do, nothing special. Next time, I may brew with slightly less water to up the alcohol %. Hope things are going well on finding a new source of income and that you can continue to save for your freedom. Interesting to see that you are learning an instrument, as I will be finishing work soon, so will have lots of time to do more things that I currently don’t have the time to be able to take seriously. Good to see you back and to hear that you’ll be finishing work soon! Probably now is the time for you to be thinking about new hobbies (or to take up old hobbies again). If you were to learn an instrument, what would it be? We used to make our own wine – going out in to pick hedgerow fruit or flowers was all part of the fun. Highly recommended. As for the Uke – something to aspire to. At some point, I’d like to incorporate fresh ingredients (eg fruit) into my homebrews too, but as a relative novice, I’m just sticking strictly to the kits and their instructions for now. Thanks for those links – very entertaining, didn’t know there were ukulele orchestras! We tried gin for the first time last year – and the bottle is still sitting in the fridge. Certainly an acquired taste for drinking . It did stand in well as a substitute for Chinese rice wine in a recipe, though. Congratulations on starting your new hobby. A few people at my old workplace were learning to play, so they would sit together some lunchtimes to practice. It is a very portable instrument. Maybe you and your sister could do some Skype jammin’! I hear gin’s not that easy to make so I’ll not be attempting it just yet – at least you found some use for the batch you made! Haha, great idea re the skype jammin’ – wait til I’m a bit better, don’t want her showing me up! The home brew looks awesome! Despite already playing a couple of instruments, I’ve tried to learn guitar more times than I can remember without success. Hope the ukelele works out better for you! Thanks FS! So far, so good on the ukulele! I guess I did choose the right instrument to learn! Good idea, I have thought about learning to play an instrument but I don’t think I have it in me. It sounds like you just need to practice and it is quite surprising what you can learn off YouTube. I’m better off knitting and creating my own jumpers, scarves and gloves for the cold weather. I have quite a stash now. Glad it is working out and a useful distraction from monster thoughts. I have not tasted it yet, but it does look and smell good. I have just started to use the jams and chutneys I made the other year while on my ‘break’. They taste really good so I will make some more this year if I can get hold of free apples and blackberries. I really didn’t think I had it in me but I can now play a couple of tunes now – not perfect of course but to coin a phrase, ‘music to my ears’ to me, who has always been non-musical! Good to hear that you derive joy from knitting – I did consider taking that up (it was a hobby in my early teens) and doing crochet but perhaps another time. Home brewing does require a lot of patience as you say – I’m thinking of putting another batch on soon. Good luck with your blackberry whiskey and great to hear that you make the most of free fruit to make jams and chutneys! 2. Will you be bringing your ukulele to the FIRE escape? 1. It’s not an easy one to learn (lots of chords) but it’s on my list to for the future! I spend so much time with him my wife is getting jealous! Thanks very much for that link – it looks great so now saved to my favourites to check out!